Reality of Wrestling star Rex Andrews takes us on a pro wrestling journey of a lifetime as he spends 18 days living and training in Wrestle-1 dojo in Japan. During his tour in Japan Rex Andrews keeps a daily video blog on FITE sharing insight into what is going on behind the scenes of pro wrestling shows and what it's like to live and train in a Japanese pro wrestling company. 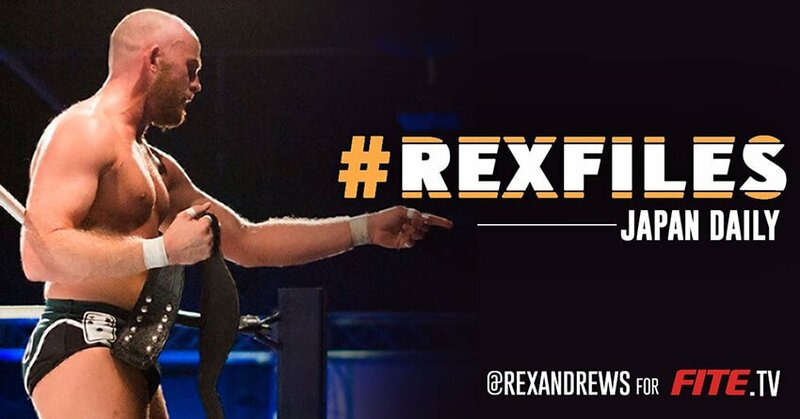 Earlier this year Rex Andrews was announced winner of FITE and Wrestle-1 competition and was granted the unique opportunity to step up his career by joining the Wrestle-1 crew in Japan. After months of scouting for the best pro wrestling talent, legendary wrestling manager Sonny Onoo and Booker T made a huge announcement at a Reality of Wrestling taping that Rex Andrews is the lucky one to train with Wrestle-1 and become FITE Ambassador in Japan. The Rex Files is a must-watch documentary for fans and pro wrestlers alike. Join Rex Andrews as he masters the craft and tours the country sharing training footage, city sights and dojo life seen through the eyes of an American pro wrestler working and training in one of the toughest styles in the art of Pro Wrestling.